The tour grossed more than $71 million and is Grande's most successful tour to date. On November 29, 2018, Grande released a docuseries on YouTube titled Dangerous Woman Diaries that included behind-the-scenes footage from the tour as well as many performances on the tour. 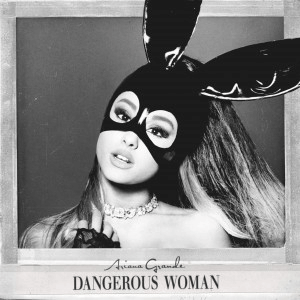 Ariana Grande: Dangerous Woman Diaries is an American documentary web television series, created by Alfredo Flores, that premiered on November 29, 2018, on YouTube Premium. The series documents singer and songwriter Ariana Grande, her backup tour dancers, management team, album producers, friends and family as they embark on her 2017 Dangerous Woman Tour. 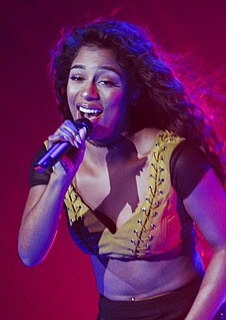 Bianca Landrau, better known by her stage names Bia and Perico Princess, is an American rapper, singer, songwriter and model who debuted on the Oxygen reality television show Sisterhood of Hip Hop. Her most recent single released on Tidal, YouTube, iTunes, and Google Play is "Gucci Comin' Home" a song that pays homage to Gucci Mane. Bia is currently signed to Pharrell's i Am Other record label. A personal stylist advises individuals on new fashion trends, clothing styles, colours and make-up. A personal stylist is not to be confused with a wardrobe stylist, who selects the clothing for published editorial features, print or television advertising campaigns, music videos, concert performances, and public appearances made by celebrities and models. Personal stylists typically work one-on-one with the client, while Wardrobe Stylists are often part of a larger creative team collaborating with a fashion designer, photographer, art director, hair stylist, and makeup artist to put together a particular look or theme for the specific project. A silhouette is the image of a person, animal, object or scene represented as a solid shape of a single color, usually black, with its edges matching the outline of the subject. The interior of a silhouette is featureless, and the hole is typically presented on a light background, usually white, or none at all. The silhouette differs from an outline, which depicts the edge of an object in a linear form, while a silhouette appears as a solid shape. 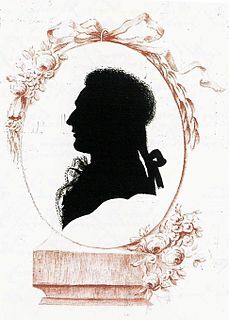 Silhouette images may be created in any visual artistic media, but were first used to describe pieces of cut paper, which were then stuck to a backing in a contrasting colour, and often framed. Ten minutes before the show started, a countdown timer and video projected on a giant screen in front of the stage showing Grande and two of her dancers. After the end of the countdown, ten dancers emerged onstage followed by Grande, who wore a black dress and high heeled boots. The show began with "Be Alright". Grande sang while performing a vogue-style choreography, while dancers, dressed in black costumes, move around her. After the song, Grande puts on a jacket and performed "Everyday" as red lights dimmed the stage to a background of pyrotechnics. During the performance, the rapper Future appeared in the projected video singing his verse. Next was "Bad Decisions", with elevated platforms and Grande's dancers around her. "Let Me Love You" followed, on a stage dimly lit by blue and white lights. Grande exited over an elevated platform that then descended. The song transitioned into an orchestral string interlude followed by video of Grande, with a purple aura around her, singing an intro for "Dangerous Woman" that did not appear on the video release. The third act of the show started with a second interlude on the video screen, showing Grande in blonde hair and a leotard posing provocatively as feminist words are displayed, including "empowered", "grounded", "not asking for it" (which repeats multiple times), "free", "gentle", "ferocious", "sexual", "human" and "female". Grande then ascended to the stage wearing a gray bra and a skirt with straps, while her dancers rode stationary bicycles on a platform to perform "Side to Side". The stage transformed into a gymnasium with lockers, benches and a chinning bar. Rapper Nicki Minaj was shown on the video screen in scenes reminiscent of the official music video during her verse. Grande then performed a remixed version of "Bang Bang" with extreme lighting effects. Next, during "Greedy", fake money with Grande's face on it fell onto the audience. The song then transitioned into "Focus", during which the screen showed scenes from the music video. Grande ended the set with "I Don't Care" and exited as the band played an outro for the song. Grande performing "Thinking Bout You"
This set list is representative of the concert on February 3, 2017. It does not represent all concerts for the duration of the tour. The California Dreams Tour was the second concert tour by American singer Katy Perry, in support of her third studio album Teenage Dream. The tour played 127 shows beginning 20 February 2011 in Lisbon, Portugal and concluding on 22 January 2012 in Pasay, Philippines. The tour visited Europe, Oceania, Asia and the Americas. The tour became an international success, with tickets selling out and ranking 16th in Pollstar's "2011 Top 25 Worldwide Tours", earning over $59.5 million. At the end of 2011, Billboard ranked it #13 on its annual "Top 25 Tours", earning nearly $48.9 million. It won an award for Favorite Tour Headliner at the 38th People's Choice Awards. The Listening Sessions was the first promotional tour by American singer and actress Ariana Grande. The tour supported Grande's debut studio album, Yours Truly, which was released September 3, 2013. The tour began on August 11, 2013 and concluded September 22, 2013 and showcased all of the material from Grande's debut studio album, with the exception of "Popular Song". The tour grossed $800,000 from 11 shows across North America. The tour was said to expand after the release of Yours Truly, but failed to materialize due to Grande's acting schedule and recording sessions for her second studio album, My Everything. On with the Show was a world tour by the rock group Fleetwood Mac. The tour began in Minneapolis, Minnesota on September 30, 2014 and concluded in Auckland, New Zealand on November 22, 2015. Tickets were available for pre-sale between March 31 to April 6, before going on sale to the general public on April 7, 2014. At the end of 2014, the tour placed 13th on Pollstar's "Top 100 Worldwide Tours", earning $74.1 million from 40 shows in North America. In 2015's year-end report, the tour placed 6th with a gross of $125.1 million from 78 shows, bringing the total gross so far to $199.2 million. The Honeymoon Tour was the first concert tour and debut arena tour by American singer and actress Ariana Grande, in support of her second studio album, My Everything (2014). Officially announced on September 10, 2014, it traveled across North America, Europe, Asia, and South America. It began on February 25, 2015 in Independence, Missouri, and concluded on October 25, 2015 in São Paulo, Brazil. The Anti World Tour was the seventh concert tour by Barbadian singer Rihanna, in support of her eighth studio album, Anti. The tour was announced in November 2015 and began on March 12, 2016, in Jacksonville and ended on November 27, 2016, in Abu Dhabi, United Arab Emirates. It took place in North America, Europe and Asia with a total of 75 shows. The On My Way Home Tour was the fourth headlining concert tour by American a cappella group Pentatonix to promote their EP PTX, Vol. III. The tour began on February 25, 2015, in Oakland, California, at the Fox Oakland Theatre, concluding on June 16, 2015, in Osaka, Japan, at Zepp Namba. Emotional Roadshow World Tour was a headlining concert tour by American music duo Twenty One Pilots, in support of their album Blurryface. The tour began on May 31, 2016 in Cincinnati and concluded on June 25, 2017 in Columbus. It consisted of 123 shows. The Illuminate World Tour was the second solo concert tour by Shawn Mendes, in support of his second studio album Illuminate (2016). The tour began in SSE Hydro, Glasgow, April 27, 2017, and concluded in Tokyo at the Tokyo International Forum on December 18, 2017. The Starboy: Legend of the Fall Tour was the sixth concert tour by Canadian singer and songwriter The Weeknd, to support his album Starboy (2016). The tour started on February 17, 2017, at the Ericsson Globe in Stockholm and concluded on December 14, 2017 at Perth Arena in Perth. The 24K Magic World Tour was the third concert tour by American singer Bruno Mars, to support his album 24K Magic (2016). It began March 28, 2017, at the Sportpaleis in Antwerp, and concluded at T-Mobile Arena in Las Vegas on December 31, 2018. Mars announced more North American dates for late 2018. The Memories Do Not Open Tour was a concert tour by The Chainsmokers, in support of the duo's debut studio album, Memories...Do Not Open (2017). The tour began in Miami on April 13, 2017, and ended on October 24, 2017, in Auckland. The 16th Annual Honda Civic Tour was a concert tour headlined by American rock band OneRepublic. Sponsored by Honda and produced by Marketing Factory, the tour also featured Fitz and The Tantrums and James Arthur. The tour began on July 7, 2017 in Kansas City and concluded on September 27, 2017 in Shanghai. Harry Styles – Live on Tour was the debut concert tour by English singer Harry Styles in support of his self-titled debut album (2017). The tour was announced on 28 April 2017 and additional dates were added on 8 June. The two-part tour began with intimate venues in 2017 and continued on to arenas in 2018. The tour started on 19 September 2017 in San Francisco and concluded on 14 July 2018 in Inglewood, comprising 89 shows. Witness: The Tour was the fourth concert tour by American singer-songwriter Katy Perry, in support of her fifth studio album, Witness (2017). The tour began on September 19, 2017 in Montreal, Canada, and concluded on August 21, 2018, in Auckland, New Zealand. Perry visited North America, South America, Asia, Europe, Africa and Oceania. One Love Manchester was a benefit concert and British television special held on 4 June 2017, which was organised by American singer and actress Ariana Grande in response to the bombing after her concert at Manchester Arena two weeks earlier. The concert took place at Old Trafford Cricket Ground in Old Trafford, Greater Manchester, and aired live on BBC One in the UK with hosts Sara Cox and Ore Oduba. The concert was attended by 55,000 people. Guest stars included Justin Bieber, the Black Eyed Peas, Coldplay, Miley Cyrus, Marcus Mumford, Niall Horan, Little Mix, Katy Perry, Take That, Imogen Heap, Pharrell Williams, Robbie Williams and Liam Gallagher. 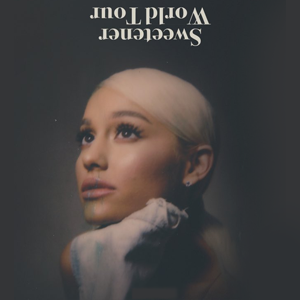 The Sweetener World Tour is the third concert tour by American singer Ariana Grande, in support of her fourth and fifth studio albums Sweetener (2018) and Thank U, Next (2019). The tour began on March 18, 2019 in Albany, New York, and is set to conclude on October 13, 2019 in Zürich, Switzerland, consisting of 81 shows across North America and Europe. ↑ Allen, Bob (November 29, 2017). "Ariana Grande's Dangerous Woman Tour Earns $71 Million". Billboard . 1 2 Quinn, Dave (June 8, 2017). "WATCH: Ariana Grande Reprises 'Somewhere Over the Rainbow' as She Resumes Dangerous Woman Tour". PEOPLE.com. ↑ "Ariana Grande: 'Dangerous Woman' U.S. tour dates revealed". ew.com. September 9, 2016. ↑ "Ariana Grande announces UK and Europe 'Dangerous Woman' tour – Priority Tickets". nme.com. October 20, 2016. ↑ "Little Mix, Victoria Monet Opening for Ariana Grande on 'Dangerous Woman' Tour". headlineplanet.com. September 22, 2016. ↑ "Ariana Grande Confirms She's Bringing Her 'Dangerous Woman' Tour To Australia – Music Feeds". MusicFeeds.com. September 26, 2016. ↑ "Bia". Live Nation UK. ↑ "Ariana Grande Will Tour Australia and New Zealand for the First Time". Billboard. 1 2 3 "Ariana Grande Debuts a New Edgy Look for Her Dangerous Woman Tour". InStyle. February 6, 2017. Retrieved March 2, 2017. 1 2 "Celebrity Designer Bryan Hearns on Designing for Ariana Grande's Dangerous Woman Tour: Exclusive". Billboard. February 6, 2017. Retrieved March 2, 2017. 1 2 3 4 5 6 7 Masley, Ed (February 4, 2017). "Review: Ariana Grande shows how much she's grown as an artist in Phoenix launch of Dangerous Woman Tour". The Arizona Republic . Retrieved February 9, 2017. 1 2 3 4 5 6 ""Five thoughts: Ariana Grande at MGM Grand Garden Arena (February 4)"". Las Vegas Weekly . February 6, 2017. 1 2 3 4 5 6 7 8 9 10 "Review: Ariana Grande puts on ethereal show at Madison Square Garden". Digital Journal. February 25, 2017. Retrieved March 2, 2017. 1 2 3 4 5 6 7 8 9 ""Review: Ariana Grande Asserts Herself With Stilettos and a Soaring Voice"". The New York Times. February 24, 2017. Retrieved March 2, 2017. ↑ "Ariana Grande Brings Dangerous Woman Tour to Madison Square Garden: Recap". Billboard. March 1, 2017. Retrieved July 25, 2017. ↑ "Not much 'dangerous' about Ariana Grande's live performance". The Washington Post. February 28, 2017. Retrieved July 25, 2017. ↑ "Ariana Grande's voice saved a mixed bag of a United Center show". Chicago Tribune . March 15, 2017. Retrieved July 25, 2017. ↑ "Arena bomb 'injured more than 800'". BBC News. May 16, 2018. Retrieved July 13, 2018. 1 2 Harrison, Lily (May 24, 2017). "Ariana Grande Suspends Remainder of Dangerous Woman Tour After Deadly Manchester Arena Explosion". E News. Retrieved May 24, 2017. 1 2 White, Jack (May 30, 2017). "Ariana Grande's One Love Manchester benefit concert details and lineup announced, including Justin Bieber, Katy Perry and Niall Horan". Official Charts Company . ↑ Jeff Nelson (October 25, 2017). "Ariana Grande's Tour Photographer Reflects on Singer's 'Brave' Return After Manchester: 'Fear Doesn't Have to Win'". People . Retrieved November 3, 2017. ↑ "Five Thoughts: Ariana Grande at MGM Grand Garden Arena". Las Vegas Weekly. February 4, 2017. Retrieved February 4, 2017. ↑ "Ariana Grande Dangerous Woman Tour "Honeymoon Avenue" Tulsa". February 10, 2017. Retrieved February 20, 2018. ↑ "Watch Ariana Grande & Mac Miller Sneak a Kiss Onstage After Performing 'The Way'". Billboard. April 3, 2017. Retrieved April 5, 2017. "Billboard Boxscore :: Current Scores". Billboard . February 14, 2017. Archived from the original on February 14, 2017. Retrieved February 14, 2017. "Billboard Boxscore :: Current Scores". Billboard . February 28, 2017. Archived from the original on February 28, 2017. Retrieved February 28, 2017. "Billboard Boxscore :: Current Scores". Billboard . March 14, 2017. Archived from the original on March 14, 2017. Retrieved March 14, 2017. "Billboard Boxscore :: Current Scores". Billboard . April 4, 2017. Archived from the original on April 4, 2017. Retrieved April 4, 2017. "Billboard Boxscore :: Current Scores". Billboard . April 11, 2017. Archived from the original on April 12, 2017. Retrieved April 12, 2017. "Billboard Boxscore :: Current Scores". Billboard . April 18, 2017. Archived from the original on April 18, 2017. Retrieved April 18, 2017. "Billboard Boxscore :: Current Scores". Billboard . May 2, 2017. Archived from the original on May 2, 2017. Retrieved May 2, 2017. "Billboard Boxscore :: Current Scores". Billboard . June 1, 2017. Archived from the original on June 1, 2017. Retrieved June 1, 2017. "Billboard Boxscore :: Current Scores". Billboard. Archived from the original on June 14, 2017. Retrieved June 14, 2017. "Billboard Boxscore :: Current Scores". Billboard. Archived from the original on June 20, 2017. Retrieved June 20, 2017. "Billboard Boxscore :: Current Scores". Billboard. Archived from the original on August 22, 2017. Retrieved August 22, 2017. "Billboard Boxscore :: Current Scores". Billboard. Archived from the original on August 29, 2017. Retrieved August 29, 2017. "Billboard Boxscore :: Current Scores". Billboard. Archived from the original on September 6, 2017. Retrieved September 6, 2017. ↑ "Ariana Grande Instagram Pics: Friendship in a Dangerous Time" . Retrieved March 14, 2017. ↑ "Ariana Grande: Dangerous Woman Tour" . Retrieved March 13, 2017. "Billboard Boxscore :: Current Scores". Billboard . November 14, 2017. Archived from the original on November 15, 2017. Retrieved November 15, 2017. "Billboard Boxscore :: Current Scores". Billboard . November 21, 2017. Archived from the original on November 21, 2017. Retrieved November 21, 2017. ↑ "Tour". sabrinacarpenter.com. Retrieved April 18, 2017. ↑ "Diva pop chega ao país em junho com sua nova turnê mundial" [Pop diva comes to the country in June with her new world tour] (in Portuguese). Jeunesse Arena . Retrieved June 25, 2017. ↑ "Oriana Sabatini, telonera de Ariana Grande". La Nación . June 28, 2017. Retrieved June 28, 2017. ↑ "Fátima Pinto y Échele Miel serán los teloneros nacionales de Ariana Grande". La Nación. June 23, 2017. Retrieved July 9, 2017. "Billboard Boxscore :: Current Scores". Billboard. Archived from the original on July 11, 2017. Retrieved July 11, 2017. "Billboard Boxscore :: Current Scores". Billboard. Archived from the original on October 11, 2017. Retrieved October 11, 2017. "Billboard Boxscore :: Current Scores". Billboard. Archived from the original on November 14, 2017. Retrieved November 14, 2017. 1 2 "Billboard Boxscore :: Current Scores". Billboard. Archived from the original on November 14, 2017. Retrieved November 14, 2017. "Billboard Boxscore :: Current Scores". Billboard . Archived from the original on September 21, 2017. Retrieved September 21, 2017. "Billboard Boxscore :: Current Scores". Billboard . Archived from the original on October 4, 2017. Retrieved October 4, 2017. ↑ "Formula 1 Singapore 2017: Duran Duran, OneRepublic, Seal and Ariana Grande to perform". buro247.sg. April 25, 2017. ↑ Iasimone, Ashley (August 23, 2017). "Ariana Grande Calls Off Vietnam Show Due to 'Health Problems'". Billboard. Retrieved August 25, 2017. Wikimedia Commons has media related to Dangerous Woman Tour .